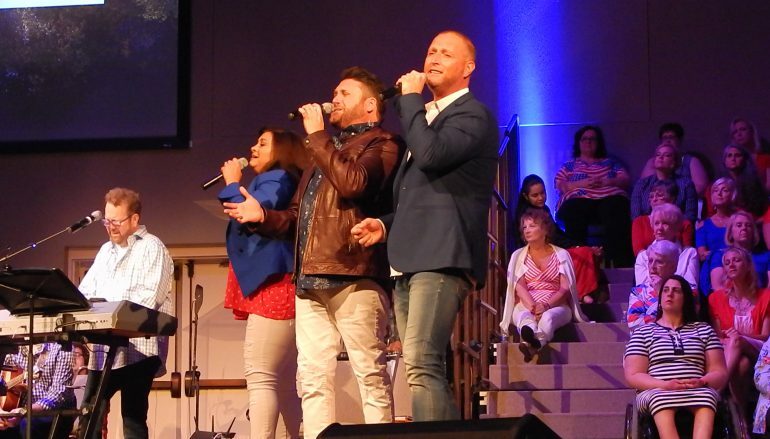 While Cana’s Voice is not a “southern gospel” group, it does have two former sg artists who are both outstanding! You just can’t miss when you have TaRanda Greene (now married to Landon Beene!) and Doug Anderson joining with former Avalon member Jody McBrayer. 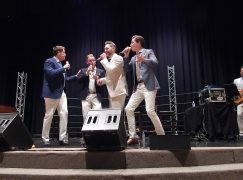 They gave a splendid performance at what was billed as a patriotic service in Cleveland, Georgia on July 1st. The adult choir, orchestra and praise team of the First Baptist Church did have a tribute to America at the beginning of the service and their trumpet player was awesome! 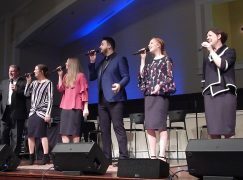 Cana’s Voice sang songs from their CD, “This Changes Everything” and a couple of praise and worship songs with backup from the church choir and orchestra. 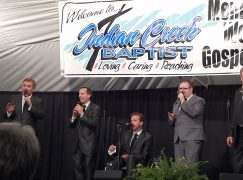 Although he’s not shown as a member of the group, Geron Davis was at the keyboard and is listed on the program with them on all the Cana’s Voice dates that are shown on the IMC Concerts website. This group really seems to be enjoying their concerts together while still maintaining their own solo endeavors.